This summer I made mugs for Out of the Garden Project in Greensboro, NC (my hometown). “We are a food assistance program for children and their families in the Piedmont of North Carolina (Guilford County).” They also are developing food sustainability projects like a community commercial kitchen and urban gardens. I used their logo as inspiration to make these limited edition white earthenware mugs that they sold as a fundraiser. Talk about good practice making handles! 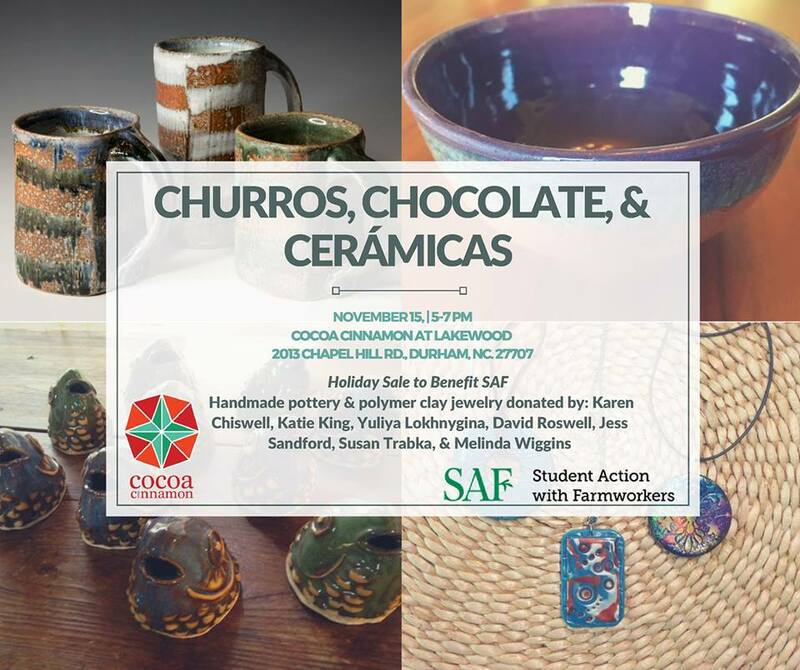 I’m also partnering again with Student Action with Farmworkers for their annual pottery benefit sale. “SAF works with farmworkers, students, and advocates in the Southeast and nationwide to create a more just agricultural system. Since 1992, we have engaged thousands of students, farmworker youth, and community members in the farmworker movement.” Based here in Durham, SAF advocates for farmworker rights throughout the state and nation, with some really in depth internships for college students. I am donating some of my pottery for sale at their benefit event along with other talented Durham potters. Click here for more information on the event.